Professor Jonathan Shaw underwent his clinical and research training in the UK. 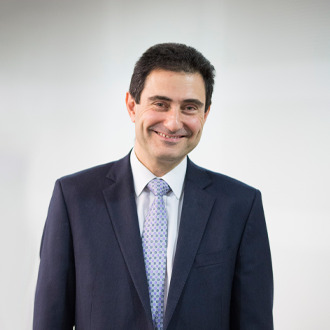 He is Deputy Director (Clinical and Population Health) at Melbourne’s Baker Heart and Diabetes Institute, where his research focuses on epidemiology and clinical research in diabetes, and he is also a consultant physician in the Diabetes Clinic. He has authored over 400 peer-reviewed scientific papers and 35 book chapters. He is the Chair of the Diabetes Advisory Group to the Australian Institute of Health and Welfare, Council member of the Australian Diabetes Society, and a Past-President of the International Diabetes Epidemiology Group. His awards include the global Novartis Diabetes Award (for research) (2006), the International Diabetes Epidemiology Group Peter Bennett award (2011), and the Australian Diabetes Society's Jeff Flack Diabetes Data award (2015). In 2014, he was included in the Thomson Reuters The World’s Most Influential Scientific Minds, which listed the 1 per cent most highly cited scientists in the world since 2002. In 2017, he was included in the Clarivate list of the world’s most Highly Cited Researchers. He aims to combine clinical experience with research expertise in order to answer important questions that matter both at the level of the individual patient and at the population level.